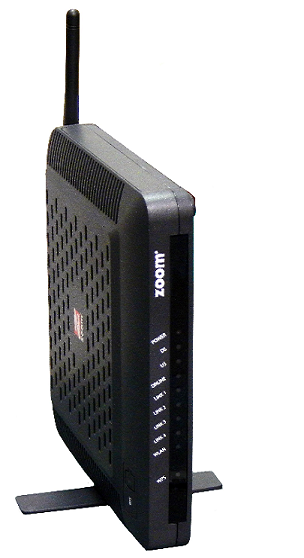 The Zoom 5323 has the following ports available on the back of the WiFi modem. POWER ON / OFF - Turns the modem / router on and off. 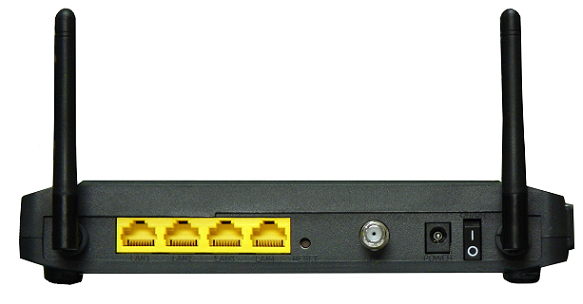 ETHERNET - Four ports to connect to the Ethernet port on the computer or home network. RESET - Use this button in the unlikely event that you want to restore the default factory settings. The modem lights indicate the current status of your WiFi modem. To troubleshoot any connection problems, use the table below. 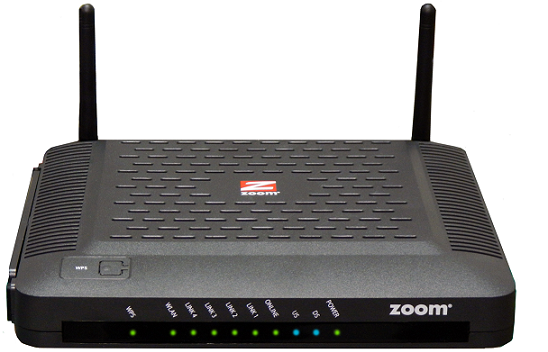 For more detailed technical information on the Zoom 5352, use the resources below.